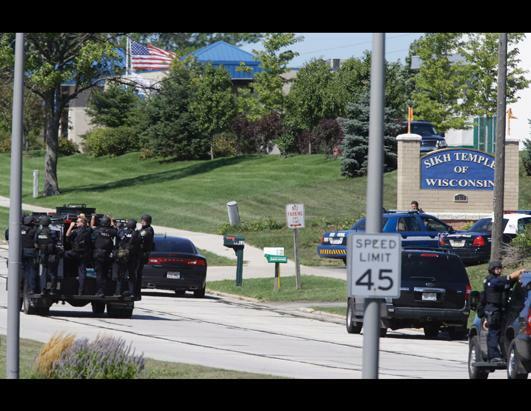 On Sunday, August 5th, a psychopathic coward opened fire on a Sikh temple in the state of Wisconsin, killing six innocent worshipers before he himself was gunned down by police officers. One heroic police officer, Lt. Brian Murphy, was shot by this coward nine times and is currently in the hospital. As officer Murphy lay bleeding on the ground, he insisted that the medical responders take care of the wounded Sikh parishioners first before treating his own wounds. In his courageous heroism and selfless actions, Lt. Brian Murphy represents everything that Dharma stands for. We wish him a speedy recovery. The Dharma Nation Movement vociferously and unequivocally condemns this cowardly and meaningless act of violence. Regardless of one’s political or ideological beliefs, terroristic violence against innocent civilians can never be justified. Despite the amoral pronouncements of such ethically shallow ideologies as Marxism and other anti-Dharmic movements, the ends never justify the means. It is for this reason that the Dharma Nation Movement, since its very inception, has followed a rigid policy of always observing the highest ethical behavior possible in the pursuit of our peaceful political ends. The ends never justifies the means. Our prayers and well wishes go out to all the victims of this tragedy. Acharya – Dharma, Natural Law: A Remedy to the Spiritual Crisis in the West?